Ruth Sweeney, age 87, of Minneapolis formerly of Buffalo Lake and Hutchinson, passed away Friday, April 3, 2015, at the Walker Methodist Home in Minneapolis. Visitation will be held Tuesday, April 7, 2015, from 5:00 P.M.-8:00 P.M. at the Walker Methodist Home, 3737 Bryant Ave. South in Minneapolis. A Prayer Service will be held at 7:00 P.M.
Funeral services will begin Wednesday, April 8, 2015 with visitation at 10:00 A.M. followed by the service at 11:00 A.M at Zion United Methodist Church, 306 2nd Street NW, in Buffalo Lake, Minnesota. Interment in Zion Evangelical Cemetery following the service. Lunch will be served. Memorials preferred. Ruth Shirley (Moritz) Sweeney was born on December 31, 1927, in Martinsburg Township, Renville County, Minnesota. She was the daughter of Ralph C. and Esther (Wordelman) Moritz. Ruth was baptized as an infant and was later confirmed in her faith as a youth, both at Zion EUB Church in Buffalo Lake, Minnesota. She attended District 78 School, and was a 1945 graduate of Buffalo Lake High School. Ruth continued her education at the Minnesota School of Business in Minneapolis, graduating in 1946 in Accounting and Business Machines. Ruth worked for insurance companies after moving to Denver, Colorado. She married James Sweeney in 1953 and they had four children. Ruth later worked for Montgomery Ward while living in Colorado. After returning to Minnesota, she worked at the Buffalo Lake Nursing Home for 21 years. 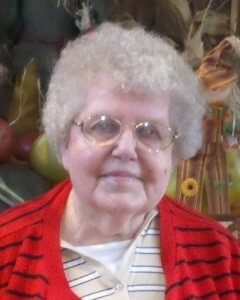 Ruth retired in 1996 and moved to Park Towers Senior Apartments in Hutchinson. When she needed assistance with her daily care, she returned to the Buffalo Lake Nursing Home then became a resident of the Walker Methodist Home in Minneapolis. Ruth passed away there on Friday, April 3, 2015, at the age of 87 years. Ruth will be remembered as a caretaker and always putting the needs of others before her own. She enjoyed traveling with family, learning new things at museums, mountains, John Denver, snow globes, puzzles, Dancing With the Stars, and Little Debbies. Ruth was preceded in death by her Parents, infant sister, Evangeline Moritz, Brother Clinton Moritz and his wife Lee, Sister Norine Blaesing and her husband Arnie, Brothers-in-law Don Ruckmar and Maynard Freier.